Going off to college is supposed to be one of the most exciting moments of your life. You finally have the chance to be independent and get away from the watchful eye of your parents – you’re free! 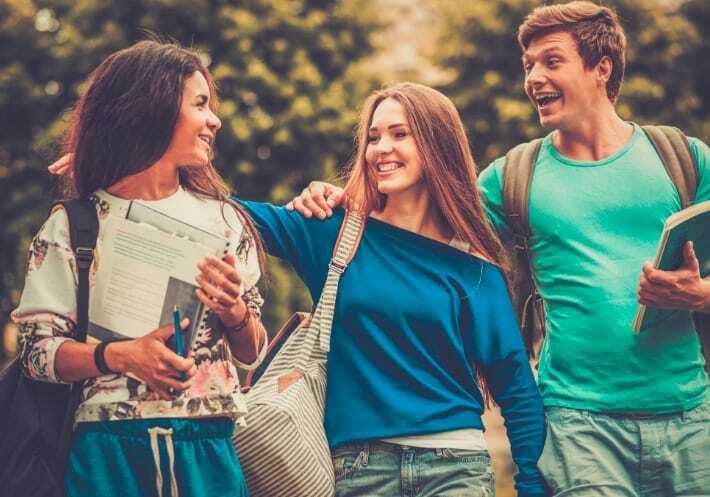 However, being at college has its share of difficulties, especially when it comes to maintaining your high school friendships. Not seeing each other all the time makes it easy to drift apart, and you really have to work to keep those relationships alive. Thankfully, because we live in an age where staying in contact is easier than ever, this isn’t as hard as it used to be. Chances are if you’re at the age where you’re going off to college, you’re a firm user of social media. Most young people out there spread themselves across any number of these apps, from Facebook and Instagram to Twitter and Snapchat. Through these social media sites, it’s easy to stay up to date on what your friends are doing and talk to them, even if you’re on the opposite ends of the country. You don’t have to chat with them every day, but a regular conversation will prevent you from falling out of each other’s lives. Chances are that you’ll go home at the end of every semester to catch up with your family and enjoy some downtime. If that’s the case, this is the perfect time for you to meet up with your high school friends. It might be difficult to find a time when you’re all free, but even just seeing each other for a few hours could go a long way. You rarely get to spend time together anymore, so it’s worth going the extra mile to meet up with them. Not only will it allow you the chance to catch up, but it’ll also show you’re not interested in letting them go. When you go to college, you spend a lot of time meeting new people. From dorm buddies to classmates, there are so many potential friends waiting to meet you, and it can be a little overwhelming. However, the one thing you should never do is prioritize these people over your high school pals. While you might want to spend more time getting to know these new people, it’ll lead you down a slippery slope. Your old friends might feel rejected if you put off talking to them again and again just so you can do something with your college buddies. You definitely shouldn’t spend your whole time chatting to people back home on your computer either, but it’s important to make time for them still. You just need to find the right balance which is admittedly easier said than done. After all, there’s so much stuff to do at college that you don’t want to miss out on. While it’s important to meet people at college, don’t forget about your old high school pals. Things might not work out with your new friends, and if that happens, you don’t want to be left all alone.